FORMER Information Communication Technology (ICT) minister Supa Mandiwanzira emotionally took to the witness stand Tuesday complaining that he was being persecuted for being one of the best cabinet ministers during his time in government. 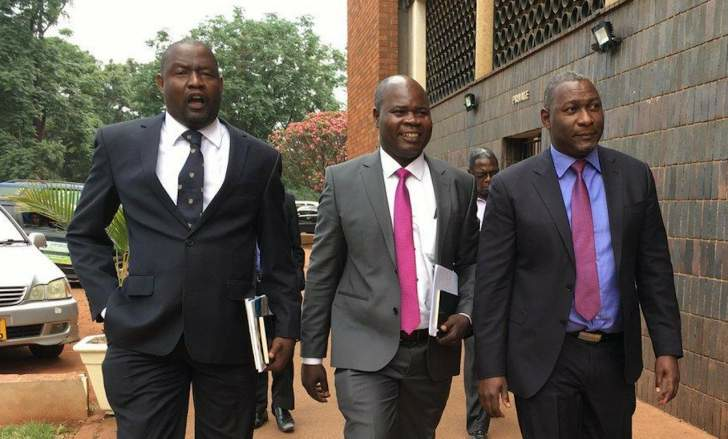 Mandiwanzira was seeking referral of his case to the Constitutional Court after Harare Regional magistrate Elijah Makomo trashed his application against trial. He is facing criminal abuse of office charges after he allegedly caused NetOne to pay $5 million to Megawatt, a South African based company for a consultancy job. Being led by his lawyer, Advocate Thembinkosi Magwaliba, Mandiwanzira said the charges he was facing were "nonsensical". The Zanu-PF MP is also being accused of illegally appointing his personal assistant into the Potraz board. "I was a deputy minister for only 11 months before I was upgraded to a full cabinet minister. This speaks volumes of my integrity and capacity to lead," he said. Prosecutor Michael Chakandida alleges the ex-minister had interests in Megawatt. But Mandiwanzira defended himself saying he engaged the company in good faith. He said the company managed to recover $30 million after that. "My roles included superintending over the entire ministry and companies which fall under it. "It was a mandate from the cabinet and the President that we as ministers must involve ourselves in the entities to ensure its performance was not a drain to the fiscus and corruption free," he said. He described himself as a shareholder at NetOne. "As you know, shareholders have interests in growing their businesses…but I'm being dragged to court for doing the right thing. Having done good for the government, I get punished, all my efforts gone to waste. The charges just become nonsensical. "That I made a personal benefit is a fiction. I feel this is not prosecution but persecution, for just being right. "I acted in a fashion that is unheard-of as a public official. We were able to recover $30 million, documented, signed and agreed for. No one has ever done that and no one would have considered that I favoured the company." Mandiwanzira said the consultancy deal was never put to tender. He said the company approached him and the job was done for free therefore he does not understand where the element of favour was coming from. He said this was good for NetOne and the government. Said Mandiwanzira over his prosecution, "I feel horrible that I am being criminalised for doing the right thing. I feel horrible and gutted that I may be sent to jail for up to 15 years for merely doing what was right in my job, that is to protect public interest in making sure those that had fleeced (NetOne) returned the money. What I did is what was and should be expected of a Minister. Where there was a loss to the taxpayer l recovered US$30 million. I really feel gutted." "I did not only use my personal discretion, I consulted my principals and they gave specific direction on how the work was to be handled. I did that through one-on-one meetings and there are records of those meetings. There is written documentation to that effect," Mandiwanzira said.